Jacob Chrisman was part of the first wagon train that opened up and settled the Shenandoah Valley of Virginia. As their grant of 750 acres from Hite, the Chrismans chose open ground along the Indian trail seven miles south of the Shawnee Springs. The eastern boundary was the tree line along the valley floor, and they later purchased some timber land from George Bowman. The large spring near which they built has been known since 1735 as Chrisman's Spring. Their deed from Hite is dated May 14, 1740, in the Orange County Court. Their house was two miles south of Hite's, and about five miles each from the Bowmans to the south and the Fromans to the west. One of the earliest roads built west of the Blue Ridge was from Hite's Mill to Chrisman's Spring. And, in 1738, Jacob joined in a petition to the Orange County Court to have a road opened to the Shenandoah River. 27 May 1772: A will of John Chrisman in Augusta Co., Virginia, identifies the sons of Jacob as Abraham, Jacob, Joseph, and Isaac, and their mother as Mary. Jacob Chrisman's home built in the 1700's stands today. 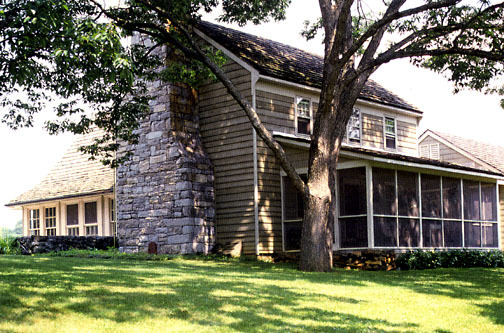 "The home was graciously offered and used as a hospital during the Revolutionary War. 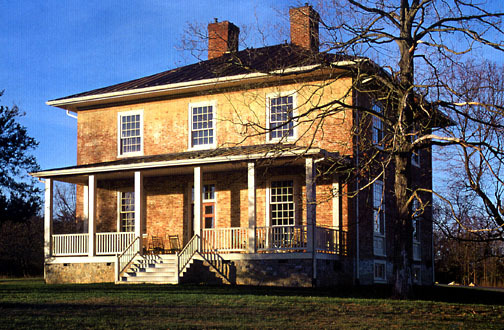 George Washington stayed in the home as a guest of Jacob, as stated in his book, "My Journey Over the Mountain". ...."
Jacob Chrisman married Magdelena Hite, daughter of Hans Jost Hite and Anna Maria Merkle of Baden, Germany. Jacob and Magdalena had ten children: Jacob, Abraham, Sarah, Anna Maria, Isaac, John, Rebecca, George, Henry and Magdalene. Daughter, Anna Maria married Peter Stephens, Jr., son of Peter and Maria Christina Stephens . Their son, Lawrence Stephens married Joanna Herbert who lived in Wythe County, Virginia later 1700's-mid 1800's. They are my 5th greatgrandparents. About the Hite family: In the spring of 1731, Jost Hite secured a grant of land and organized a group of families to settle in the Shenandoah valley near present-day Winchester, Virginia. He is thus credited in U.S. history books as the first white to settle west of the blue ridge mountains.